Once upon a time, there was a woman who desperately wanted a child. One day, a good witch passed her house and gave her a flower seed. The woman planted the seed and took good care of it. Before long, two little eyes curiously stared at her between the petals. Inside the flower was a tiny girl The woman named her Thumbelina. 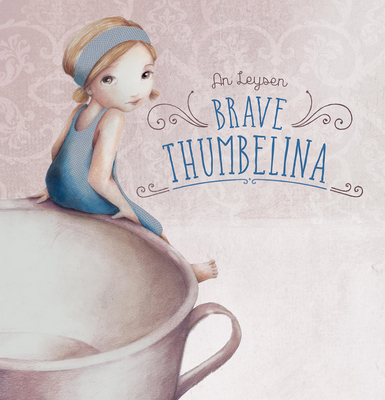 It soon became clear that Thumbelina was a very brave little girl. In this magical picture book, An Leysen retells the classic fairy tale of Hans Christian Andersen. For children ages 5 and up and anyone who loves enchanting fairy tales. An Leysen (1972) is married to visual artist Jef Faes. They have a daughter together, Louise (2004), who has art running through her veins too. After all, Louise already made some illustrations for both Tanneke de heksenprinses ('Tanneke, the Princess of Witches') and Prinses Dommelijntje ('The Princess Who Could Not Sleep'). An Leysen works as a teacher in Turnhout (Belgium). She teaches 'creation' and 'fashion drawing'. In her spare time she likes to - what else? - read and draw.